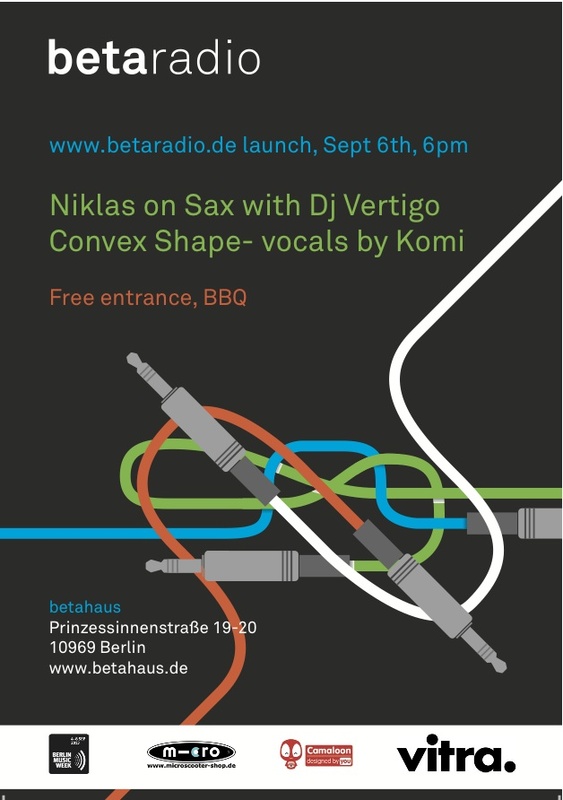 Our friends of Betaradio are celebrating their launch this friday at Betahaus! Betaradio is a project in cooperation with betahaus, the worldwide coworking space for creative minds. In Betahaus the relaxed atmosphere is combined with concentrated working environment. Betaradio is intended to be your on-air-voice, which connects the whole betahaus spaces, giving the opportunity to the start-ups, coworkers as well as all the people involved in such activities to share their works, efforts, ideas with our outstanding music in the background. So please don’t miss the launching event on the 6th of September at the betahaus!! Free Entrance, Nice Music from Berlin Artist (e.g. Niklas on Sax & DJ Vertigo and Convex Shape & KOMI.)!!! Drinks and Food and a lot of surprise that you can discover only JOINING US! Previous postVEVO: How do music videos work nowadays? Next postWORKSHOP "Promoters - Developing Audiences The Hard Way"